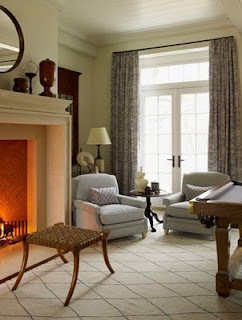 Although I like the herringbone pattern in floors, I absolutely love the herringbone pattern in a fireplace. Specifically, in a firebox (a new term for me), the part of the fireplace where the fire is actually lit. 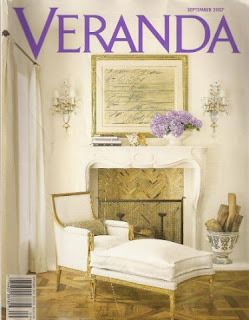 My favorite cover of Veranda features a beautiful herringbone pattern inside the fireplace. 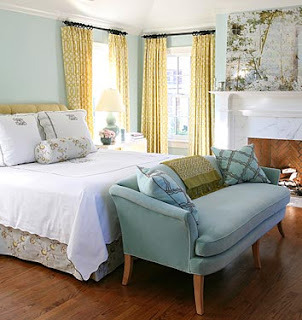 Interior design by Renea Abbott of Shabby Slips, Houston. The cover of this month's House Beautiful also features a beautiful fireplace with a herringbone pattern inside the fireplace. Francois & Co. makes beautiful handcarved mantels, and many of the pictures on their website feature herringbone fireboxes. 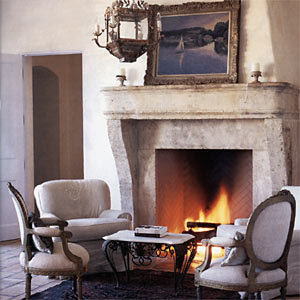 I love this scene - the French chairs and trumeau paired with a simple but beautifully carved fireplace. The herringbone pattern inside the fireplace blends perfectly with this scene. Another scene from the Francois & Co. website, this one a little more modern with the contemporary art and the more streamlined chairs (looks like a Todd Murphy painting above the fireplace). The mantle is sleek, and the herringbone firebox looks great in this setting too. 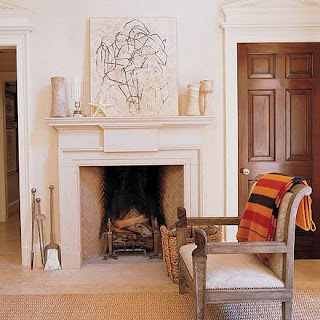 A large French fireplace with a herringbone firebox, via Cote de Texas. This is a statement fireplace! This is a spectacular fireplace, made all the more lovely because of the herringbone firebox. 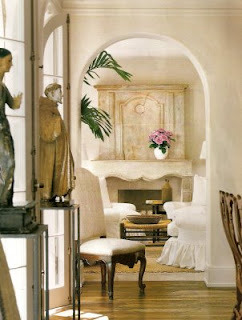 Interior design by Pam Pierce, via Cote de Texas. From Elle Decor. A beautiful herringbone pattern in the fireplace, but I can't help but wish that the soot stains weren't there; it detracts from the lovely color of the bricks. I guess a fireplace needs to be used, though! This room designed by S.R. Gambrel has a magnifent, large fireplace with a delicate herringbone pattern inside. I wish I had a picture of the fireplace head on; it is the focal point of the room, and I am sure that the herringbone pattern was carefully selected. This well known picture in the design blog world features a room designed by Barrie Benson (Domino Magazine). Yes, I love the room, but the herringbone pattern in the fireplace also caught my eye! One of my all time favorite living room pictures. No surprise, if you look very carefully, you can see that the fireplace has a herringbone pattern inside. Architecture and design by William Hefner. 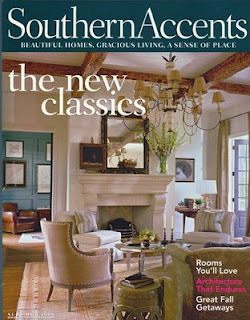 Old World Stoneworks also make beautiful fireplace mantels, and frequently advertise in many of the design magazine. 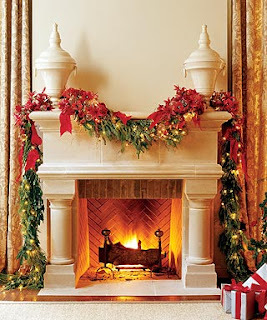 This fireplace was featured on the Southern Accents showhouse cover in 2004. Many of the examples on their website feature a herringbone firebox. So, I have found another 'must have' for my dream house: a herringbone pattern inside the fireplace. It works beautifully with the layered European look that I love, but as seen in these pictures, is so classic that it also goes with a variety of different styles. What a fantastic eye for detail you have - I shall be looking for herringbone fireplaces in all my favourite shelter reads from now on. Oh sugar, don't you just hate it when someone points out something that you love after you built your house!! It is amazing the little details (not so little after you lead me by the hand) that really make a room but not noticed right away. You are so observant! I love all these images. I am really getting in a fireplace mood so this is perfect timing! I have a new blog address, by the way. If you don't mind updating me on your blogroll. I am in the process of updating my entire list (huge project) as well. Thanks, dear! I always enjoy so much inspiration when I visit! It's very British!! You can even smell the scones!! Love your blog! I never noticed this lovely design feature in homes! Keep up the great blogs! It is a small detain that makes a whale of a difference in the look of a room! Great array of fireplaces to choose from. When I purchase a house back home I'll keep this in mind. The fireplace with the dress above it, is that the Todd Murphy? If not do you have any idea who might have created it. Hi everyone, thank you for the comments! Jacqueline, I immediately thought that the picture of the white dress on the black background was by Todd Murphy, because it looks like his style, but it was not noted on the website that the picture came from. Great fireplaces... and even better finishing touches. Great article! interesting, i never really thought about it. herringbone for fire place, very savvy. These fireplaces are so beautiful! I linked your floors post in new post on a Manhattan House which had beautiful floors. Always great pictures and information!!! Love those two magazines... they have the best photo spreads! I found out that my aunt's chandelier is in fact currey and co ....but she thinks it's discontinued....it was called madeleine....and she got it at Santurary-it was in preston center in Dallas (has since closed)- bummer! I love the herringbone detail. It adds so much depth and character. You know, Mrs.Plain Jane had herringbone inserts installed in the fireplaces in her gorgeous new home. I'm from sweden and for me herringbone flooring (oak) is VERY common in older houses in my country. I have such flooring in all my rooms exept in the kitchen and entrance hall and I never thought of them as beautiful. (I was actually kind of tired of them) Now I do like them. Thanks to you! Agree - I wish they would sell a "herringbone" pattern insert for fireplaces for all of us stuck w/the boring brick pattern. Beautiful! Now I am seeing Herringbone patterned fireplaces and floors everywhere! Your wonderful post opens our eyes! How pretty, I've never noticed that, before! Great post- I left you a comment under the one you sent me- thanks for stopping by and looking at my blog. :) You and I have a lot of the same favorite fireplaces- there are 2 that you have posted that I had in my inspiration binder to show our architect. Herringbone is so pretty- we did the floor of our piano room in that pattern too- can't get enough of it! Great post, enjoyed looking at your blog.